In this article I will review 5 apps that could you could possibly benefit from using in your busy musician lifestyle. I will review each product and briefly offer my opinion on how I use them. If you’d like to watch instead of read you can find the YouTube version of this article below. I personally use Apple products wether it is my laptop, desktop, or phone so all of these products are available on the app store or compatible with Apple products. If it isn’t available for Windows/Android I will make sure to notify you. Image sourced from AnyTune’s Official website. A link can be found here. This is a phenomenal program that can help in learning songs, transcribing and practicing by slowing down the tempo, adjusting the pitch, repeating loops. Anytune was one of the first programs I purchased in my first quarter in music school. I really liked how I could slow down all the songs I suddenly had to learn without pitch shifting so I could still play along in standard (or whatever the recording was in) tuning. I think this is the products biggest selling point, although I will list all of the ProPlus features down below. A link to AnyTune can be found here. This product is only for Apple products as of now. The company states on the website that it plans to release Windows and Android versions soon. You can try AnyTune for free! There is a free app on the App store - you can find that here. a) Practice at your pace by adjusting the tempo without affecting pitch! b) Mark and loop song sections for practicing. c) Record and share your work easily with social media buttons. d) Transparent import from iTunes. e) Backup marks and settings to iCloud. g) Auto loop between set marks. h) Lyrical Editing and Auto Scroll. j) ReTune your song with scripted tempo and pitch changes. m) Transcribe mode to facilitate replay. o) Solo or mute vocals or instruments with ReFrame™ Audio Isolation. p) Amazing HQ audio quality down to 0.05x! q) Pitch up or down by 24.0 semitones. r) Isolate or solo an instrument or vocals with ReFrame™. s) Import your music from Files app, Dropbox, WiFi and Open-In. - Export loops or entire adjusted (tempo, pitch, ReFrame, EQ, …) tracks via Email or Open-In (m4a/aac). - Export to the AudioCopy clipboard. - Remotely control Anytune via BT keyboard or MIDI/BT controller (Blueboard, AirTurn, and PageFlip compatible). …information sourced directly from the company’s website. A link can be found here. This was one of those programs that I used way to much when I first downloaded iReal Pro. The program offers downloadable backing tracks for extremely popular songs (not just jazz standards) or chord progressions. A link to iReal Pro can be found here. Huge data base of downloadable chord charts for free in the forums. With those charts of course comes the backing tracks. A person can choose between 50 different accompaniment styles that use a variety of instruments. Edit or create your own charts and personalized backing tracks. Very useful if in a band or writing basic charts out for songs. Gain access to the fantastic community on the forum! I honestly love having/using this program. Sibelius allows me to work on personal charts, compose, and teach. This is certainly a financial decision to make since this is not a low ticket item by any means. If you just need to write basic chord charts for your band you might be able to get away with just iReal Pro since you can print basic chord charts you make while also gaining a simple backing track. Sibelius is created by Avid, who is also known for making huge programs such as ProTools and First Media Composer. Sibelius is definitely an industry standard for music notation software with few competitors (which certainly exist). A link to Sibelius can be found here. I’d also like to mention that Sibelius comes with three companion applications that enable you to turn recorded, performed, printed, and handwritten music into notation. For more information on those programs you can click here. With Avid Scorch on your iPad, you can view scores and adapt them to your instrument by transposing the music, changing instruments, or even converting to and from guitar tab. a) Advanced toolset enabling the user to work with an unlimited number of instrument parts and tailor every facet of your score to your needs. 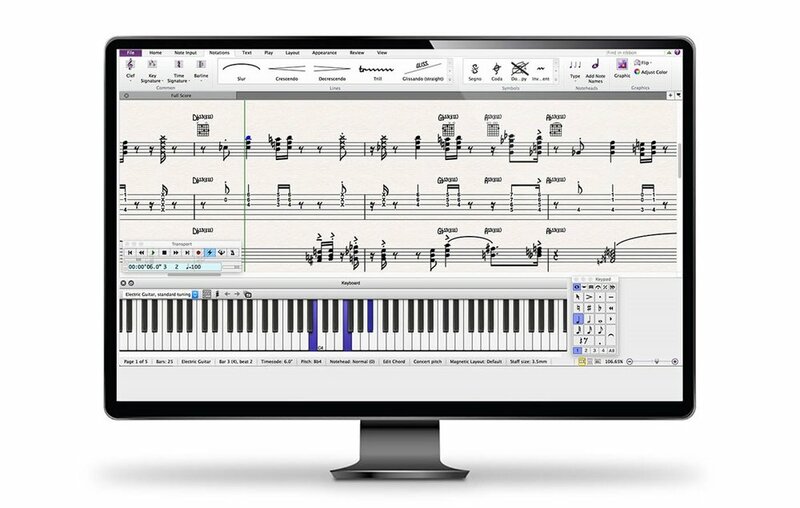 b) Create sophisticated sheet music with an expanded set of notation tools and symbols, customizable notes and instruments, and film scoring workflows. c) Ability to speed through score refinement with advanced layout, editing, and publishing tools. d) Easily share an unlimited number of scores online using Cloud Sharing and invite others to view, play, and comment on your music. e) Ability to collaborate through MusicXML, print scores, and export your music as MP3, MIDI, or PDF files. f) Updates provided with subscription so you can always have the latest version of Sibelius. e) Makes publishing your work incredibly easy. Avid has lots of different options for purchasing Sibelius available online. You can either sign up for access to the program with a monthly/yearly subscription or choose to flat out just buy a the current version on the market. Full purchasing options can be found here. If you are looking for other options here are some popular ones. I found out about this wonderful app in music school. A student had this app out in piano class and was using Suggester to look up chords for a song we were learning. That is just one benefit this app has, which I quickly realized and before I knew it Suggester had been downloaded and installed on my iPhone. I personally use this app as a practice tool more than anything. It allows my to make very detailed backing tracks for practicing scales, chords, arpeggios, etc. I also use Suggester to start basic outlines for some projects in Sibelius since you can export your work [from Suggester] as a MIDI file which Sibelius can read and create an outline chord chart with the exact chords you have from the Suggester app. A link to Suggester on the App Store can be found here. A lot of people download this app for a writing tool and it is very popular for singer songwriters hunting for the perfect chord or testing out ideas quickly & efficiently. There is a free or ‘lite’ version available. A link can be found here. 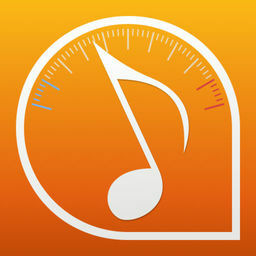 a) Users can pick a scale, then build your song from the chords that the app suggests. b) Suggester allows you to also work from the catalog by picking a set of chords that you like. The app will then tell you what scales it matches with. After you have selected the scale you want to use, the app can tell you what chords will fit in with the ones you entered before. c) Every sound generated with the app can also be sent to the MIDI output and configurable in the Options Menu. You can route these notes to another app on your device or remotely to another computer by setting up a MIDI Network Session. It's also possible to export to a MIDI file or plain text. The Adobe Creative Cloud Suite is not an exact music app but musicians often do find theirselves using 1 or more programs inside of the suite. This last recommendation is geared more for the other part of a musician’s life and that is online presence, marketing, and creating content. If you’d like to step up your social media game or simply be able to touch up your photos, create videos/logos (and so much more) you may consider looking into what Adobe has to offer. For more information, pricing, and full list of apps within the Adobe Creative Cloud you can click the link here. I have to admit, not everyone I know has an Adobe subscription. This is partially due to the price, partially due to the practicality of the programs. Not everyone has time to learn Photoshop, Premiere Pro, etc. On top of that these programs aren’t essential to improving your skills on your instrument. I personally use Adobe Photoshop, Premiere Pro, Stock, Fonts, Lightroom, After Effects, and Portfolio on a weekly basis. Granted that also means that there are a lot of apps I have access to that I’m completely ignoring. If you’re a musician or artist and you’re looking to get into or improve on YouTube, Instagram, Twitter, Facebook, Snapchat, Vimeo, and so many other popular platforms then I strongly encourage you to look into Adobe CC some more. It’s also important to note that there are competitors for some if not all of the applications in Adobe CC. One side benefit from learning one of these programs is that you are [in theory] learning a trade skill. As a freelancing artists this can not only be a benefit to have but you may also get good enough to save yourself some money down the road. There are certain products that you can buy or already have that gives you a limited time - prepaid Adobe CC subscription. Also Adobe themselves offer a free trial of Adobe CC. A link to the free trial can be found here. Please keep in mind that if you are planning to purchase a subscription to the Creative Cloud near a holiday make sure there aren’t any promotional deals happening. Oftentimes Adobe will have limited time sales where if you sign up for a year they lower the price a but per month. Students also receive a significant discount on their plans. For more information on student pricing click here.